As the world grows it advances and gets technical. We’ve gone from brick phones to smart phones in a short period of time. 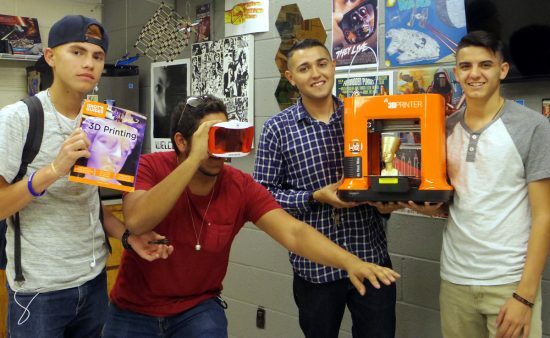 Even education has evolved to using smart technology as well, such as 3-D printers. Robots are beginning to take jobs. This is the 21st Century. 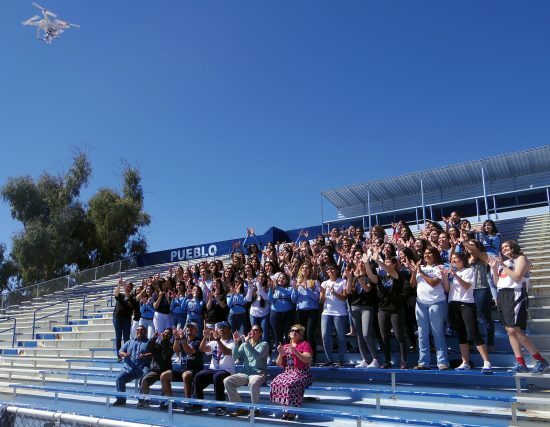 Not too long ago, Pueblo’s women’s sports teams convened at the football field for a picture when they had realized a drone flying over their head was actually taking the picture. Mr. Ernesto Somoza, the graphic and web design teacher as well as the freshman communication media technology (CMT) teacher here at Pueblo, was responsible for this modern way to take pictures—and he is always teaching students in his classroom the latest in technology. One of Somoza’s latest technological tools is the 3-D printer. It creates three-dimensional objects in which layers of material are formed under computer control to create an object. 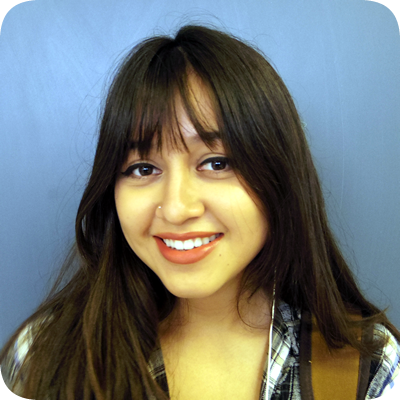 “I want to stay current to what my students like, that’s why I got into 3-D printing,” Somoza said. His first attempt to using the 3-D printer wasn’t so easy. The first creation, in November, was a cookie-cutter, then a skull, which took three days to complete. Then, there were the plant holders, phone case, and even a map of Europe. The U.S. Capitol building was fun, Somoza said, because it could be taken apart and then reassembled. There are numerous applications for a 3-D printer, Somoza added. For example, student would be able to dissect a “fake” frog instead of the “real” thing. Somoza also has virtual reality goggles, and just by wearing them, students are “transported” to different cities and different continents—not to mention different planets! Next year, Somoza hopes to stay ahead of technology and teach his students and himself new ways of improving education. 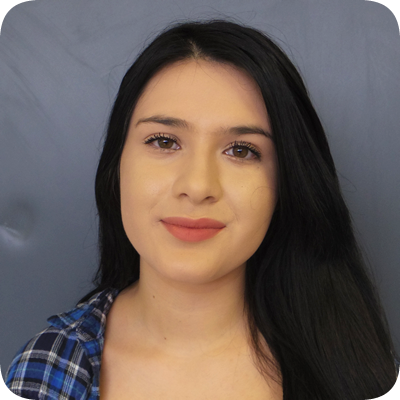 “We’ll see what next school year brings,” Somoza said. Get the latest news from Mr. Somoza’s CMT class by following him on Instagram. JTED hosted an officer training here at Pueblo and invited CTE students and teachers from Cholla High School to attend. 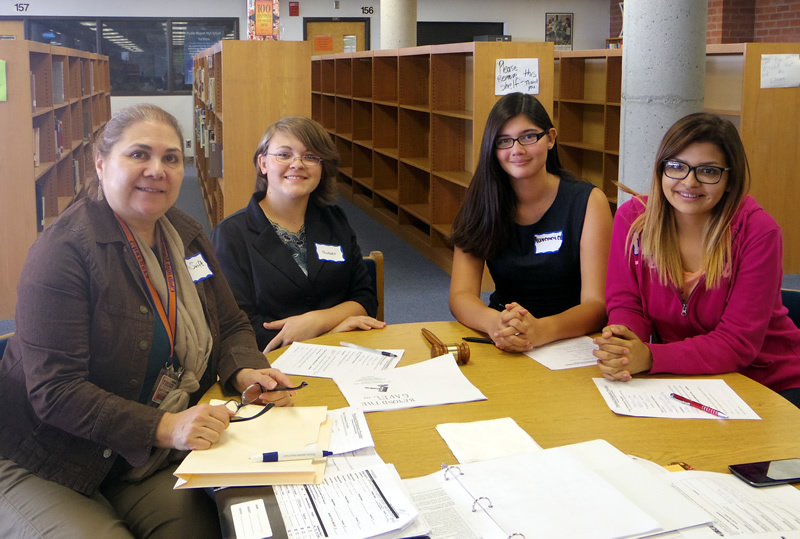 More than 50 students from PHS and another approximately 35 from Cholla were in attendance in Pueblo’s library on Monday, September. 14, 2016. 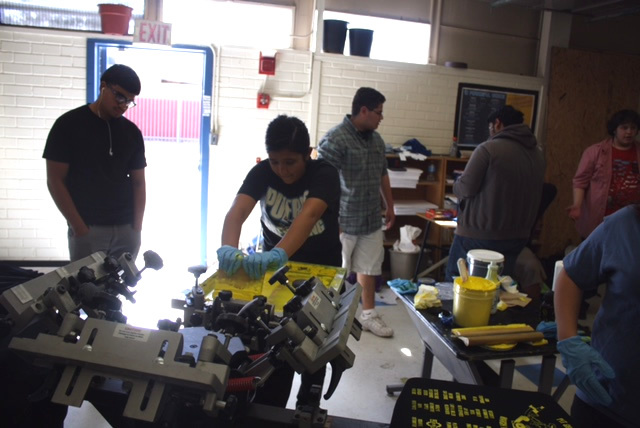 Funded by the Pima County JTED Department, this event lasted the entire school day and included students from JTED/CTE classes, along with their teachers. The following Pueblo organizations were present: Educators Rising; HOSA; Skills USA (Graphics, Photography, Auto, Media, Printing); Yearbook; National Technological Honor Society; and DECA. One of the primary objectives of this event each year is to help prepare students to become leaders in the future. They have been selected as officers for their clubs/classes or will be selected in the future. A variety of activities kept students from both schools interacting with their peers and engaged with analytical and evaluative tasks and hypothetical scenarios. According to Pueblo’s CTE site coordinator, Dr. Maria Bicknell, another one of the primary objectives of this workshop is to instill within students the empowerment regarding knowledge and leadership. 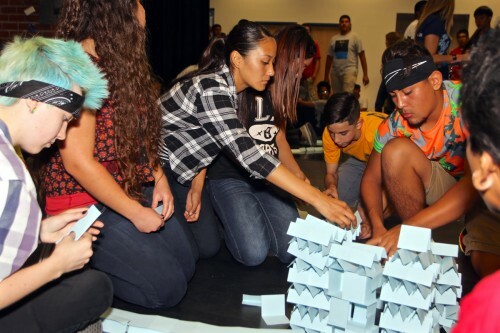 Bicknell, along with Cholla’s CTE site coordinator, Ms. Lucy Swift, spent weeks of planning and organizing this workshop for both schools. Mr. Curt Bertelsen, the training inspector from Pima County JTED, once again hosted an electrifying and engaging display of parliamentary procedure for students. Maria Servellon, a junior who is president of HOSA, said that she learned a great deal at this workshop including how to properly conduct a meeting. 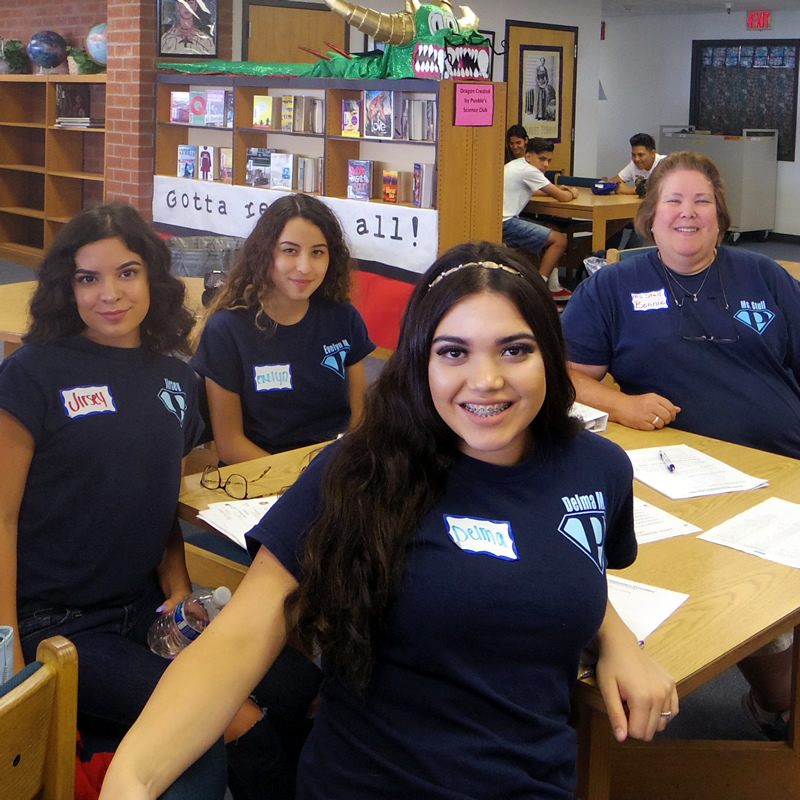 “Today’s experience was positive on so many levels, although I wish that we Pueblo students could have interacted with our Cholla guest students more,” Servellon said. 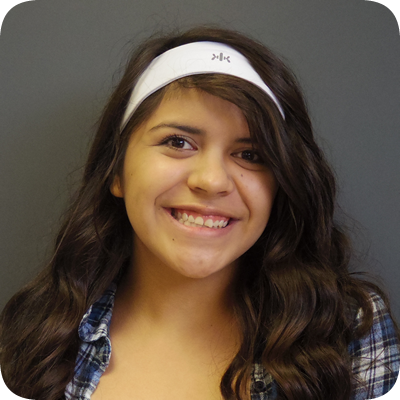 Jirsey Duron, a senior at Pueblo, who is the secretary of Educators Rising (sponsored by Ms. Bonnie Stull), said that the workshop was a lot of fun and a great learning experience at the same time. On Wednesday and Thursday, February 10 and 11, Pueblo’s forensic class, taught by Ms. Elaine Straub, experienced their third live crime scene; students were required to examine a car accident and apply the skills they have learned in class throughout this school year. Straub said that this particular crime scene will test her students’ critical thinking skills. Students were required to collect evidence and examine their discoveries, including taking photographs, taking measurements and fingerprinting. 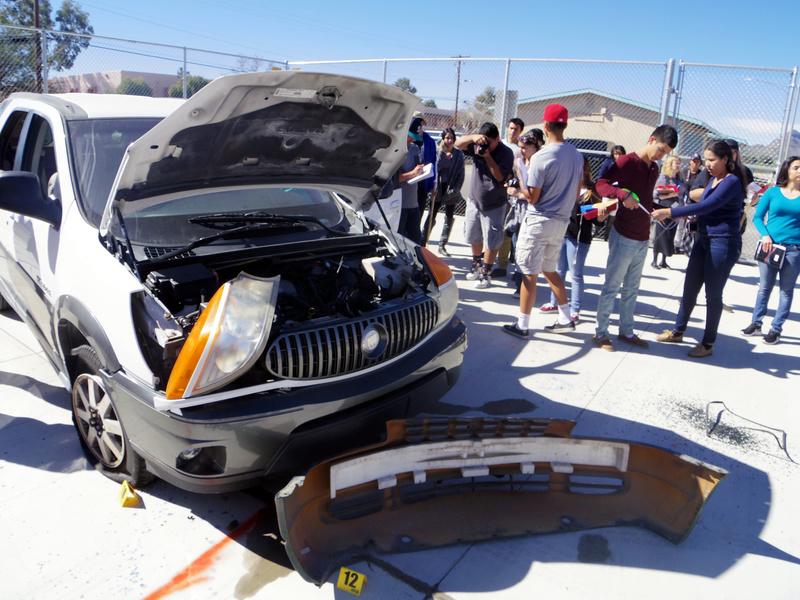 Straub added that Ms. Marie Little, who teaches auto, and her students helped stage this simulated crime scene. Several other teachers used this location for their own curriculum, including Ms. Emma Tarazon, whose students took various pictures in a variety of light settings, and Mr. Rana Medhi, who took his creative writing students to the scene so that they could write about a story about their observations. Mr. Ernie Somoza’s CMT (Communications Media Technology) freshmen students used the drone to shoot an aerial of simulated crime scene. (Video below) Sophomore Hector Valenzuela and freshman Andrew Romero controlled the drone, and sophomore Victor Llanos edited the video. Students, teachers and parents are urged to attend a Town Hall meeting regarding the future of CTE programs on the evening of Wednesday, October 21 from 7:00 p.m. to 8:30 p.m. at the Catalina High School auditorium. Auto Program at Pueblo would be affected by budget cuts. This meeting will discuss the recent funding cuts approved by the Governor’s Office for the 2016-2017 school year and how this will negatively affect Career and Technical Education programs throughout the state. State senators Steve Farley and David Bradley will be present to discuss how the cuts will affect school districts, including Pueblo Magnet High School. Please plan to attend this meeting. Your voice and opinions will definitely count. More than one thousand Pueblo students participated in this year’s Card Castle Building Leadership activity on Friday, Aug. 14, during all seven periods, in an effort to increase team work, bring about self-awareness and learn campus responsibility. Ms. Marie Little, auto teacher, brought this activity to Pueblo from previous trainings at various other schools. A year ago, she asked her CTE (Career and Technical Education) colleagues to take it on as a group lesson in order to reach more students. Mr. Pete Pederson, who teaches graphic arts and yearbook, delivered the debriefing at the end of each period, which provided our students a deeply meaning of the day’s activities. All students of CTE teachers and Ms. Kari Warner [student council advisor/science teacher] participated in this event.